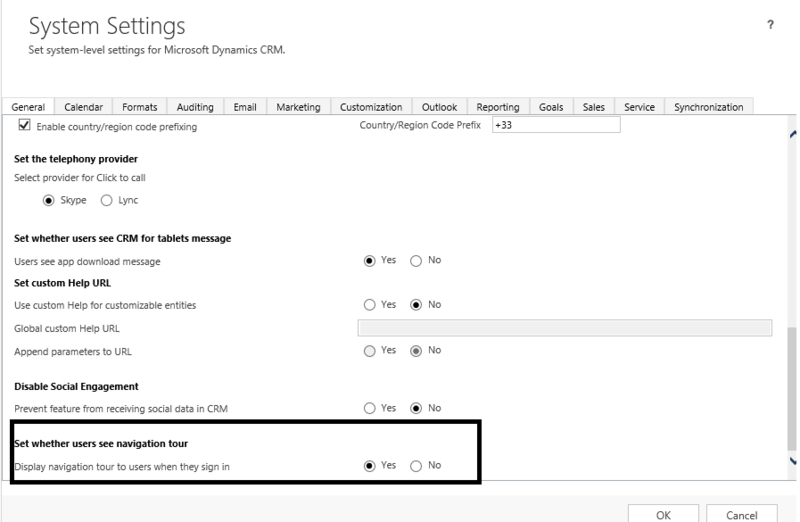 When signing in to Dynamics CRM a popup suggesting to have a quick navigation tour. In 2013 version it was quite complicated to disable it for all users at the same time. 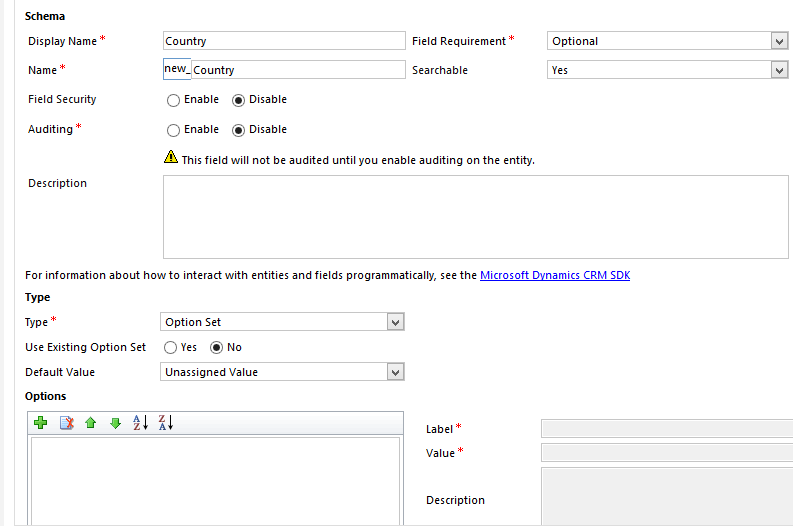 One of the major and most interesting updates in the latest Dynamics CRM version (2015) is the cross-entity searching functionality which allows user to search records in multiple entities. 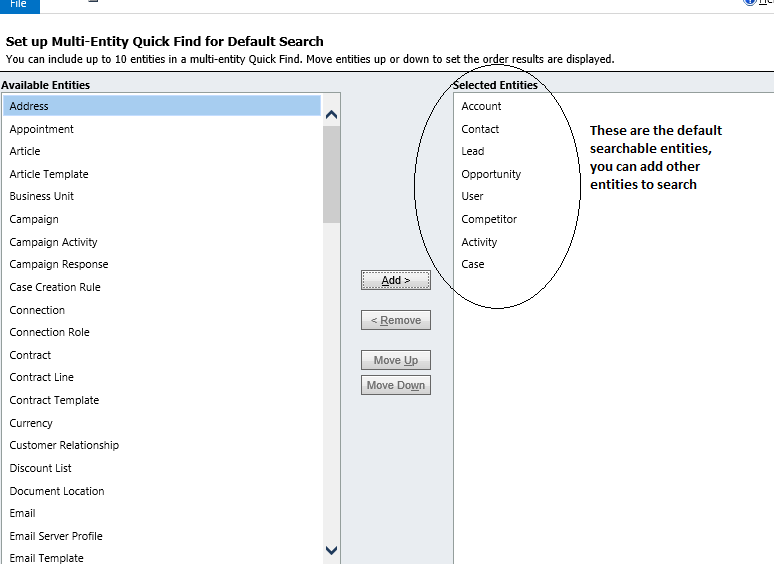 By default there are only some entities to search, you can easily add other entities. All you need is to set it by navigating to Settings/Administration/System Settings then click the button “Select” next to Select entities to search as shown below. 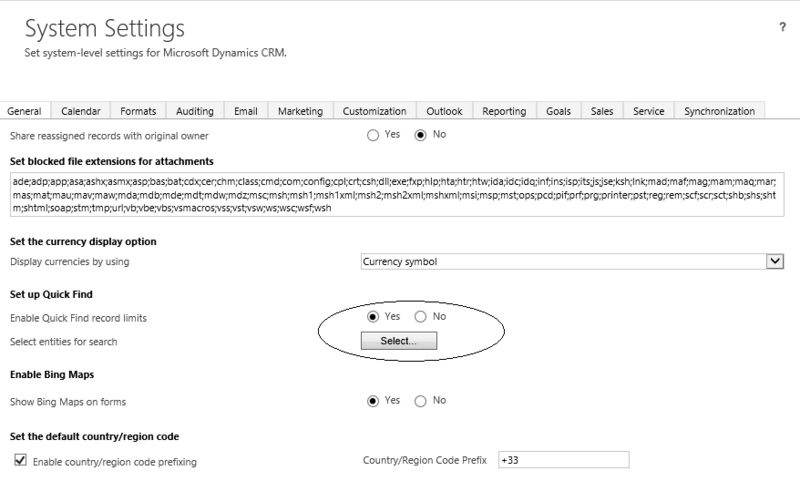 We usually need to populate an option set field with a numerous values (Countries for example). So typing 100 or more countries is at the same time a tedious and time wasting job. Here is a tip that can help you automatically populate an optionset without typing all the values. 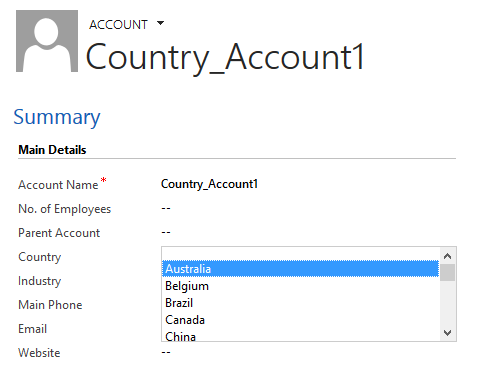 Let’s take for this example a list of countries and an option set field Country in Account entity. 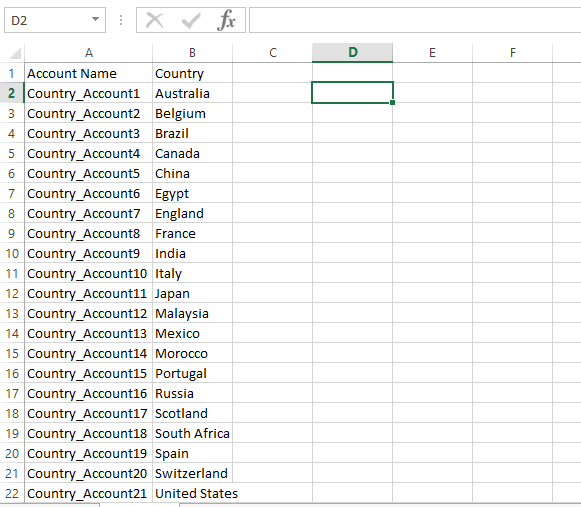 First prepare your CSV file which contains your list of countries, give an easily recognizable name to Account Name column in order to delete all the records created later, then create this empty optionset field Country in Account. 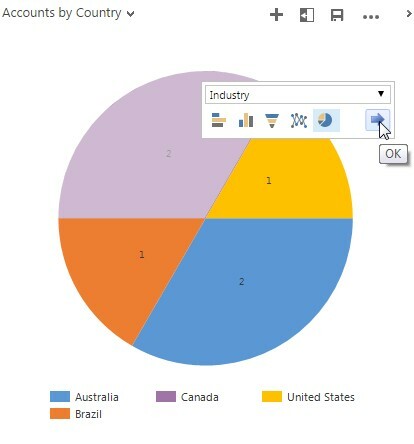 Now open the navigation bar and go to Settings->Data Management->Imports and start a new Import by clicking “Import Data”, click on browse to choose your CSV file to import then next to map your file with Account entity. 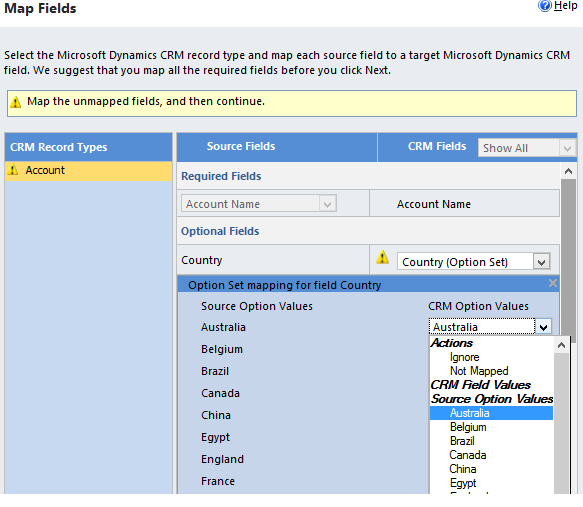 Dynamics CRM automatically suggests to populate the field with the source values, otherwise you should map them yourself as you can see it in the screenshot below. 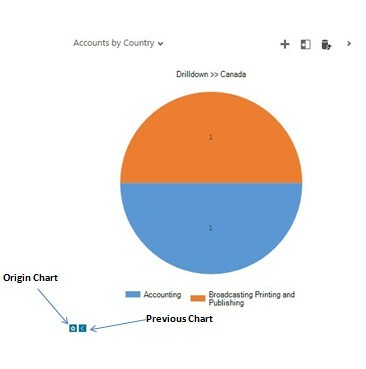 Once the import is completed, you’ll notice that the Country_accountX records are created. 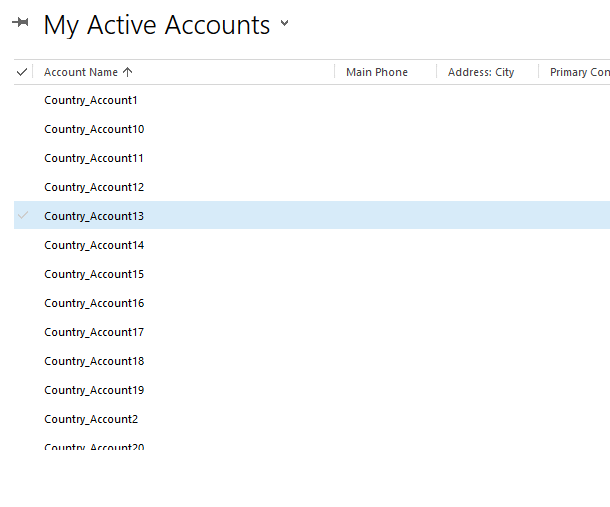 You can open one of them check the Country values NOW DON’T FORGET TO DELETE THE Country_AccountX records to keep your CRM clean… Hope this can be helpful for you.